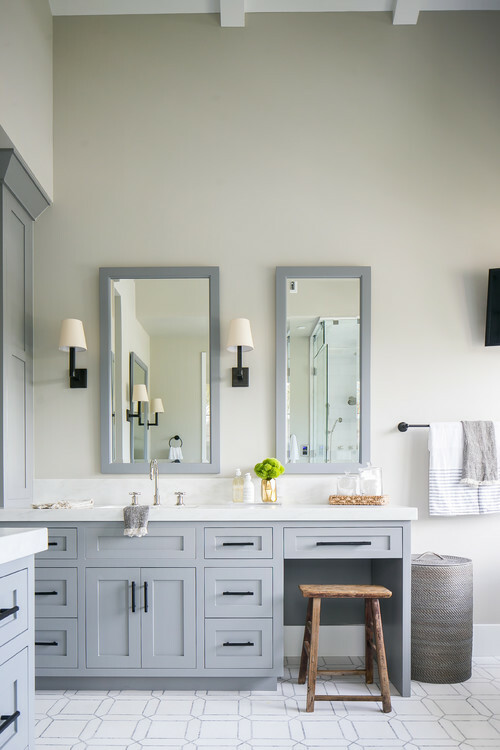 I love the use of gray and white in the modern farmhouse beach home bathroom. Natural accents provide that beachy touch. And the rustic stool completes the look!